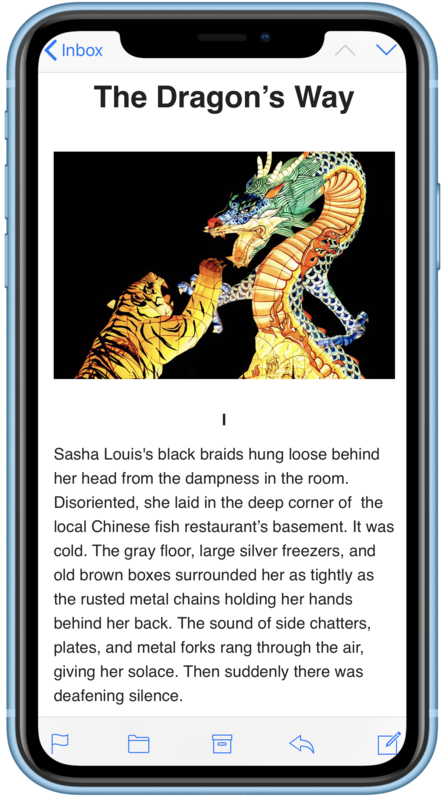 Join thousands of readers from around the world who start their day with a new fiction story. About | Are you a writer? THE HOWLING OUTSIDE FADES into an eerie silence. The lights flicker back on, showing me nothing more than the smooth, charcoal-colored bars I’ve been staring at for the past three days. Or has it been four? “…It’s kind of annoying it’s just this huge number flashing in your line of sight. It can tell when you’re driving so I don’t think that’ll be an issue, not that I’ve been driving in 6 Korda.” He joked. Cal loved Admin Long’s science class. It was the only class where there were no daily films. Instead, there was “workshop time,” which meant Cal could click “play” on his GLASS and watch HOVER vids or embarrassing clips of peers in compromising situations. Explore a new universe and the next humanity in this epic science fiction series story that explores what it means to be alive. Our production Studios is led by a Writer’s Room of 5 scifi writers.